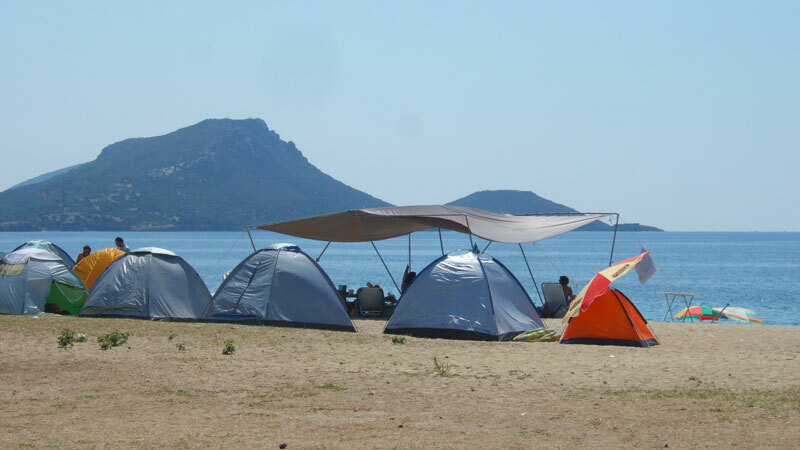 Articles Arrests for wild camping in Halkidiki! Arrests for wild camping in Halkidiki! Sithonia is no doubt Halkidiki’s largest camping destination and perhaps the biggest campground in all of Northern Greece. Sithonia’s lush mountainous beauty and postcard perfect beaches are a magnet for nature lovers and what better way to bond with nature then to camp? Whether you pitch a tent, or drive a motorhome, the ability to bring your home with you and set up close to the beach is a great temptation. It has been estimated that just as many people camp illegally in Sithonia as those who use authorized campsites. Despite signs that warn about illegal camping, certain beaches can at times be filled with dozens of tents and the campers often leave behind garbage that destroys Sithonia’s beautiful nature. If you are caught wild camping, the minimum fine is €150 and may include imprisonment for up to 3 months. If you are caught leaving garbage the fine is €300. Lighting a fire is punishable by up to €2000 and many forest fires in Greece have been started this way with people having lost their lives. Until now free campers have gotten away from punishment but this is already changing beginning this year (2017). The wild campers have grown to such a number that the authorities now have started to patrol the beaches. At the beginning of the season some Italian tourists were the first to fall victim to the camping ban. Then in the end of July, 12 more wild campers from Bulgaria, Greece and Macedonia were arrested. The police are trying to send a strong message to wild campers so that they can curb the damage done to the environment and the financial loss that local businesses are experiencing. Sithonia has about 50 campsites to choose from. Check SithoniaGreece.com for more information that tells about the Sithonia campsites and what they can offer.